Two-weight World Champion Frampton (24-1, 14KOs) came face to face with four-weight Champion Donaire (38-4, 24KOs) at a press conference at the Europa Hotel today (Wednesday) ahead of their SSE Arena Featherweight showdown, which will be screened live on BT Sport and BoxNation. 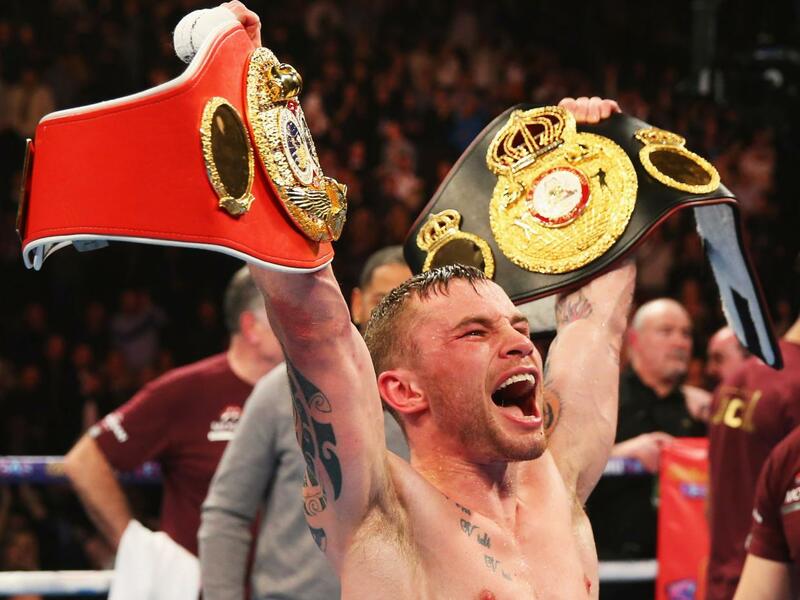 With Frampton aiming to book a World Title stadium date at Windsor Park this summer, ‘The Jackal’ has insisted that he considers his Frank Warren-promoted clash against ‘Filipino Flash’ to be a high-risk/high-reward opportunity. “I just take it one fight at a time. I don’t know what’s going to happen in the future, but I’m going to do everything I can in training camp and in my preparation for this fight to make sure that I’m ready,” added the Belfast native, who is eyeing a future date against the winner of the upcoming Lee Selby-Josh Warrington IBF World Title fight or whoever emerges from a bout between his old rival Scott Quigg and WBO World Champion Oscar Valdez. “There’s a lot on the line,” admitted Frampton “But these are all things that are in the future and there’s only one fight that I’m focused on at the minute. “It allows the warrior within us to come out and that’s something that we’ll show on April 21st that we do have it. “Considering the year I’ve had, looking back on it, it wasn’t a bad performance,” said MTK Global-backed Frampton. “I think that last fight is going to be a blessing in disguise for me,” added the Belfast man, who explained that Donaire was his No 1 choice as an opponent, despite the fact that the Filipino poses a real threat to his summer fight plans. Limited tickets for Frampton vs. Donaire are available to purchase from the SSE Arena Belfast Box Office, www.ssearenabelfast.com and 028 9073 9074.